It is always advised for homeowners to take note of pest-proofing tips, and the importance they play in keeping pests at bay and your home safeguarded the entire season. The autumn pests that homeowners often encountered are rodents, roaches, and spiders, which all pose a serious threat to human health as well as to property. 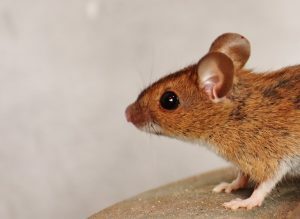 Rodents like mice and rats carry diseases and viruses like Salmonella and Hantavirus. Not only they bring serious illnesses, but they can also cause costly structural damages as they chew on electrical wirings, gnaw through furniture, and nest in insulation, which can potentially cause a house fire. Cockroaches, on the other hand, carry germs around their bodies which can trigger asthma attacks among young children and people with weak immunity resistance. When the weather is starting to cool, our warm home is as enticing to pests as it is to us. That is why we often find pests indoors during the autumn and winter season. Pests can cause serious health problems and expensive property damages in the future when an infestation is not addressed, or at least prevented. More than just a rigorous pest control inspection and treatment, we give additional advice about proper pest preventive maintenance to keep pests out of your area completely. Our pest control professionals are always available round the clock to deliver assistance as soon as you call for help. We have done a lot of pest control and removal operations across Sydney and Brisbane for years, so trust our services can bring you a useful and safe pest solution. Call us today!